It’s hard to believe we’ve been in India for 20 days already. We have had some fantastic experiences this past week. 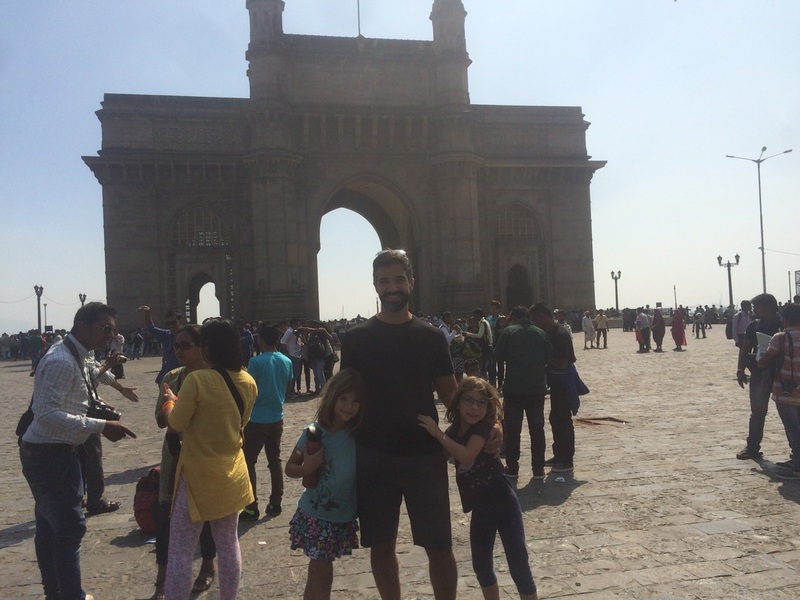 On our second day in Mumbai we walked past the Taj Mahal Palace hotel to the Gateway of India. It was pretty crowded with people and pigeons, so we didn’t stay too long. We had our first falooda there. A falooda is an Indian drink with milk, rose syrup, vermicelli, and ice cream. 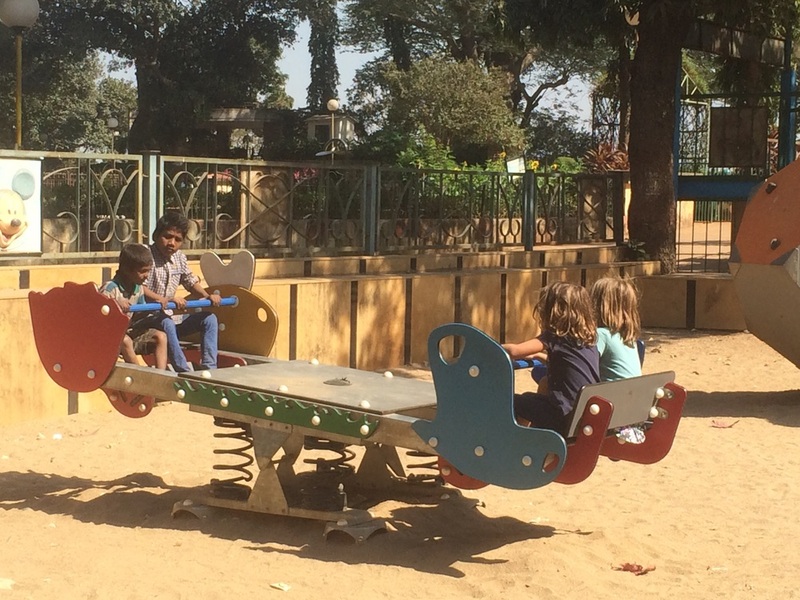 We then took Hannah and Amy to the playground by the Hanging Gardens, though we didn’t actually make it to the Hanging Gardens itself. Mommy & Daddy tried Bollywood dancing, but the girls chickened out! The next day we took a Bollywood tour. We saw where some of the stars lived and toured the sets of S.J. Studios. 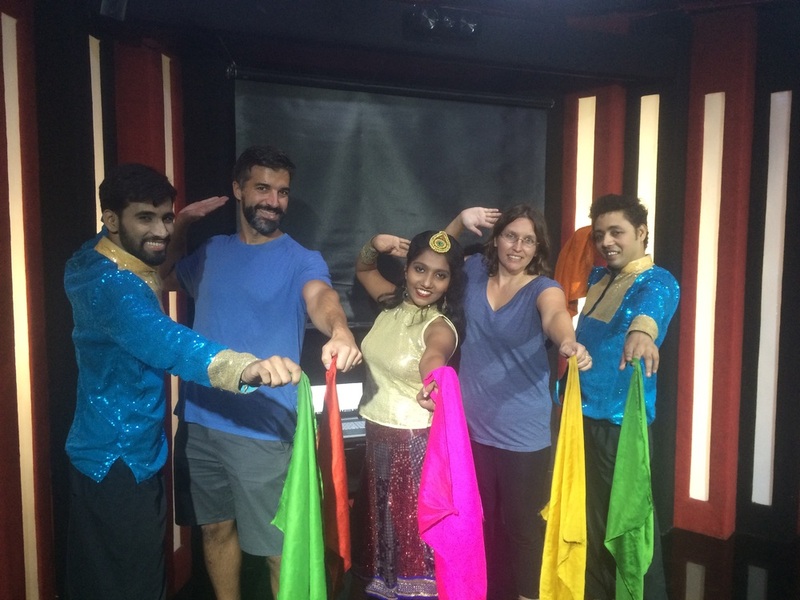 It also included a performance of some of the Bollywood dances, as well as a short video on the history of film in India. Hannah liked one the costumes and speaking into the microphone. They told her to come back when she’s older. 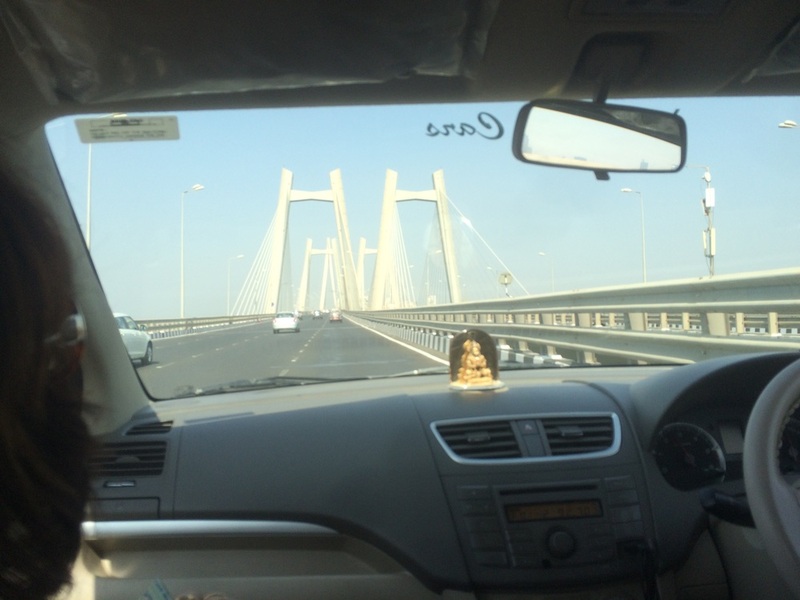 It turned out to be a lot of driving in Mumbai as most of our activities ended up being on the west side of town. We were staying in the south end and it usually took 60-90 minutes to get from one to the other, even with a new bridge. The time spent traveling didn’t ease up the next day either. 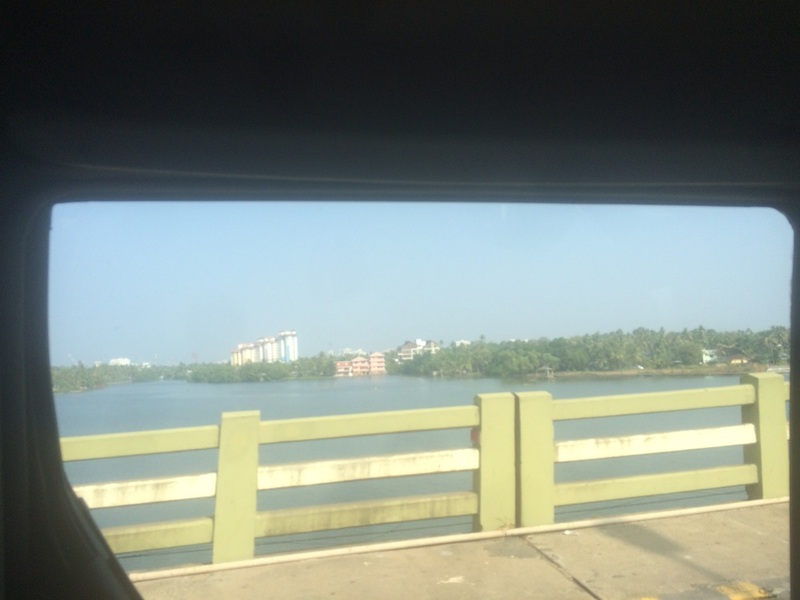 Even though the flight to Kochi was only 90 minutes, the drive to the airport was at least 60 minutes and the drive from the Kochin airport to our Airbnb house was another 90 minutes, so it was a much longer travel day than we expected. Our Airbnb cottage was a bit far from old Kochi, but that said, it was peaceful, with the river at the back, a long porch, a hammock and songbirds. 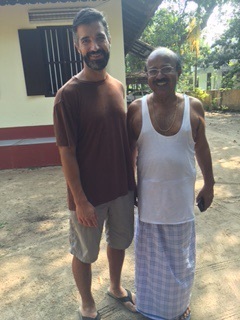 Our hosts in Kochi were great. We had a Keralan dinner the first night and Keralan breakfasts the next two mornings. Basil even invited Anthony in for some drinks with his buddies one night and had Anthony talk to various people including a state Minister! Anthony and our host Basil. This is the morning we left, so he wasn’t fully dressed. 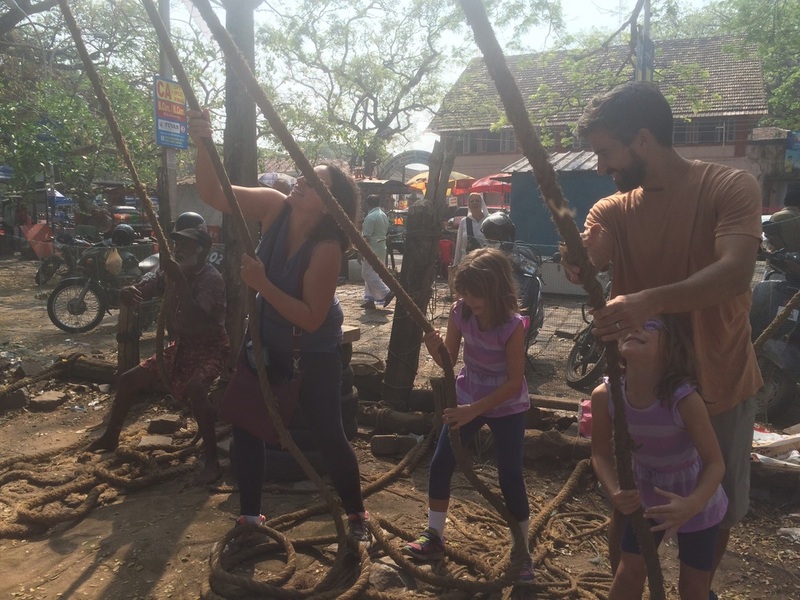 On our only full day in Kochi, we explored the old town by foot and tuk-tuk. The girls loved the Chinese fishing nets and had a chance to pull one up. The day was a bit long, so we skipped some of the sights, such as the Dutch Palace, though we saw the Dutch Cemetery. 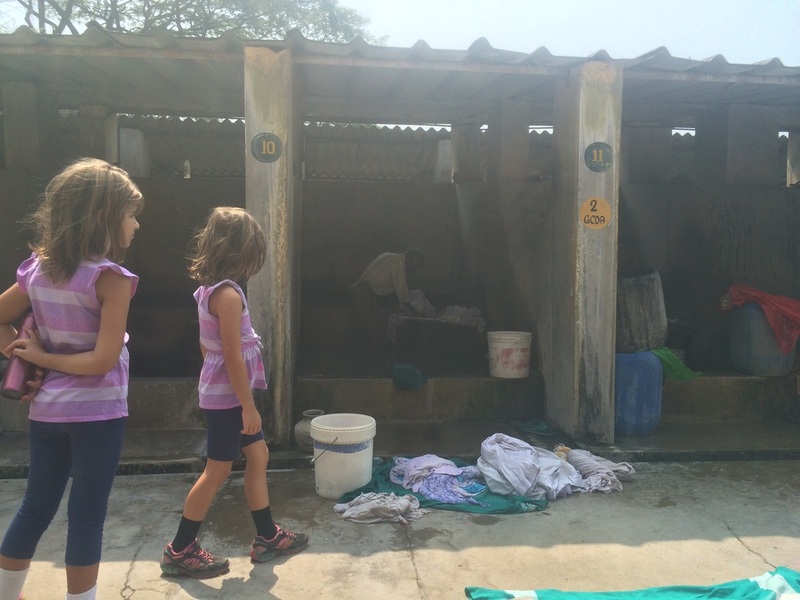 Amy was fascinated with the workers hand washing laundry at the Dhobi Khana Washing Collective. Hauling up our catch of 1 fish! The costumes are very elaborate! 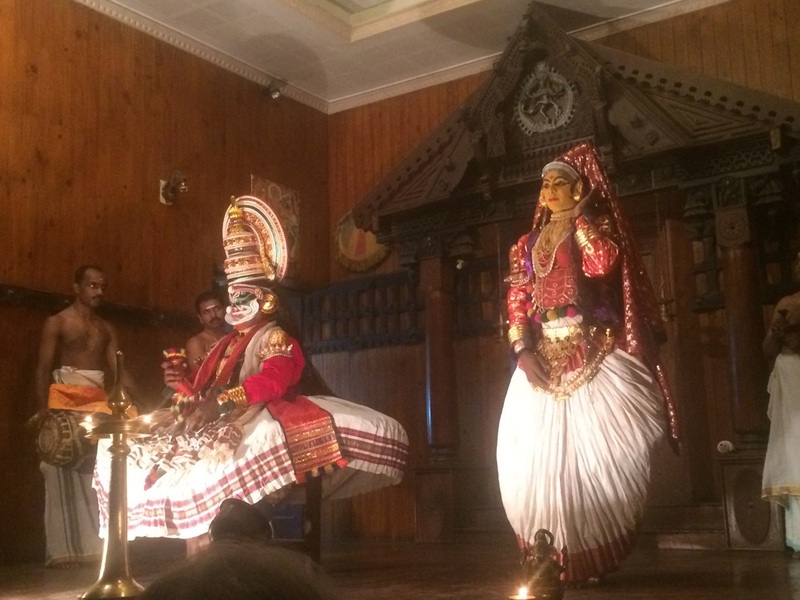 That night we went to the Kerala Kathakali Centre to see a Kathakali performance. You could go an hour ahead to watch the performers put on their make-up. There are no words in the performance, rather the performers communicate with their eyes, eyebrows, facial muscles, hands and body movements. The music comes from two drummers and a singers who also plays small cymbals. It is really quite something to see and the girls just loved it! 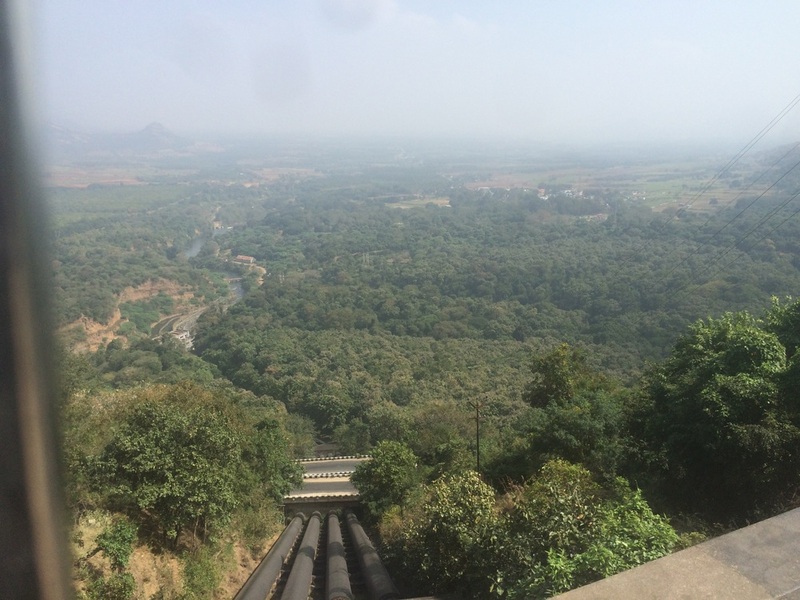 Then it was off to Kumily, a 4 hour drive inland towards the Western Ghats. 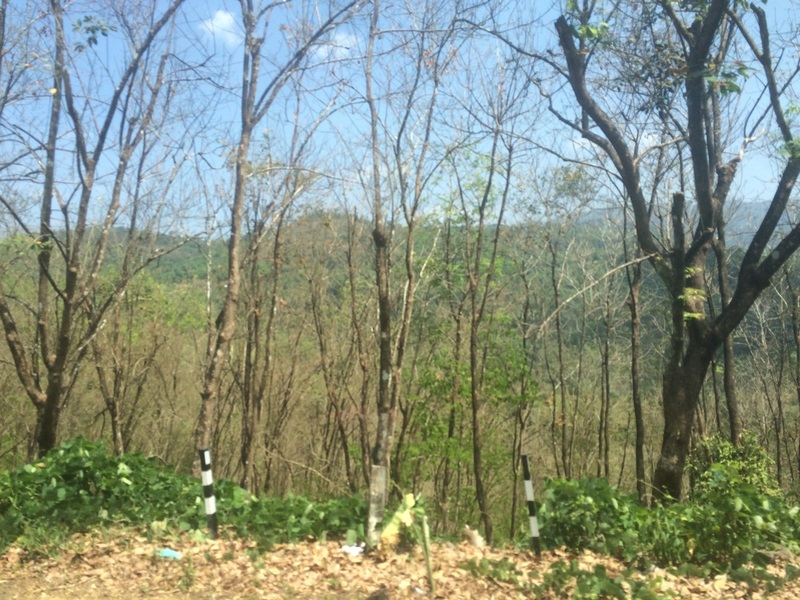 We drove past lots of rubber and tea plantations. Our Airbnb house is on a property with a variety of trees and is very lush. 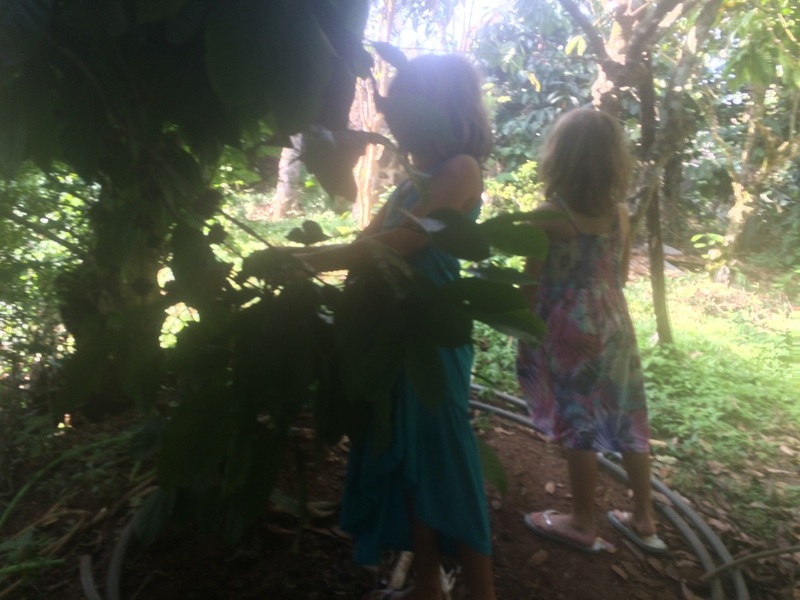 Hannah and Amy love picking coffee beans and peppercorns. Rubber trees. Although we passed a lot of rubber plantations on the way to Kumily, we didn’t stop to tour one. 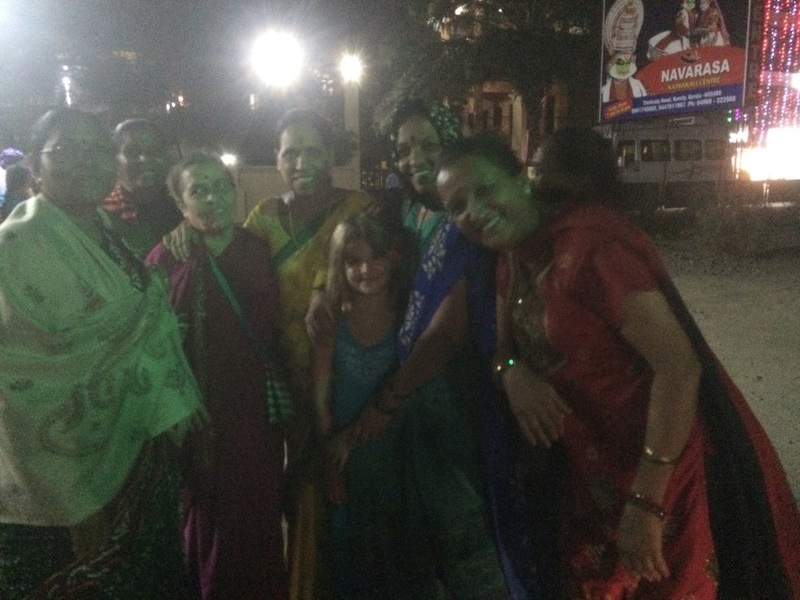 That night we saw the martial arts performance and after the girls got mobbed by Indian ladies wanting to take their picture. Hannah happily obliged, but Amy hid behind Anthony. 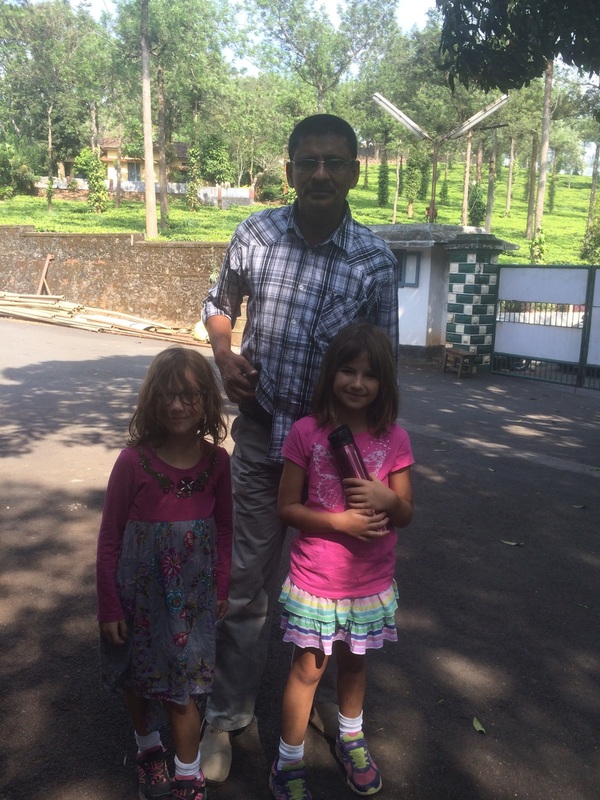 Of the spice garden and tea plantation we visited the next day, the girls liked the tea plantation the best. We got to see the tea making process, whereas at the spice garden, we just saw the plants, but not the process. 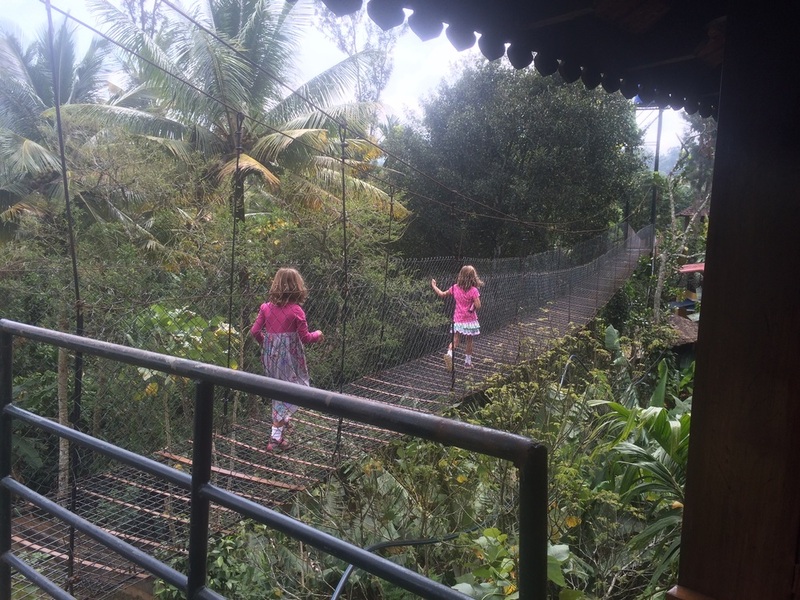 It did have a hanging bridge which connected two treehouses though. 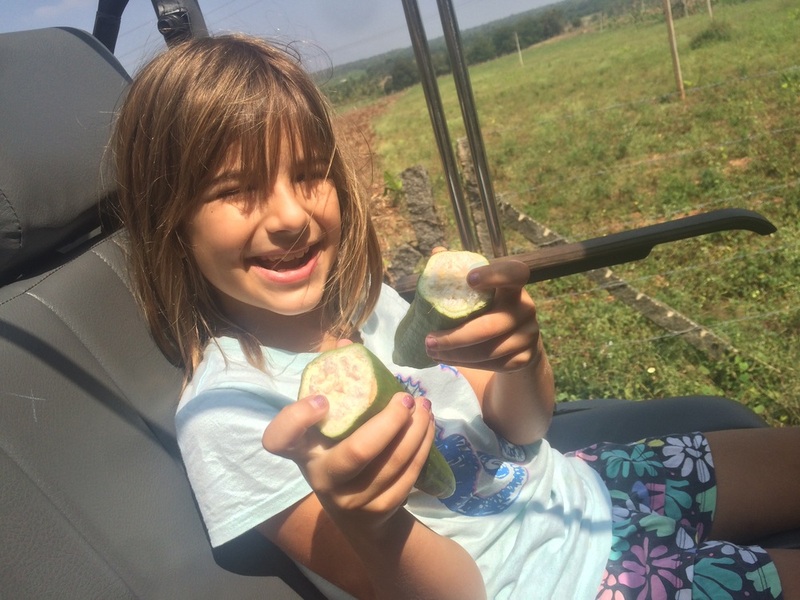 Hannah and Amy liked the honey that came from part of a banana tree flower, but the farmer didn’t have any honey for sale. The hanging bridge. The treehouses have a bedroom & bathroom. The farmer rents them out to newlyweds. Hannah and Amy with the tea farmer. He was really good with them, especially Amy who was crying one minute and happily skipping along the next. Today (Jan.26) is Republic Day in India, so many activities, such as bamboo rafting and boat riding in Periyar Lake, were already booked up. 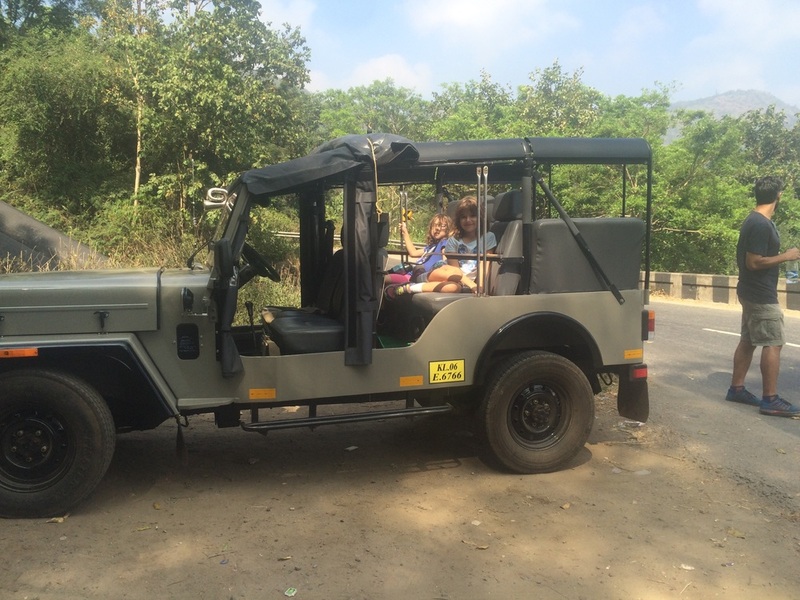 That’s how we ended up taking a jeep ride through Tamil Nadu, the neighboring state. It turns out we’re right on the border with Tamil Nadu, and soon after crossing the border, you end up in a lush forest with lots of monkeys on the roadside. You quickly come upon a waterfall created by a dam, as well as amazing views of the valley below. The valley is so beautiful with the mountains surrounding it. These are young banana trees. 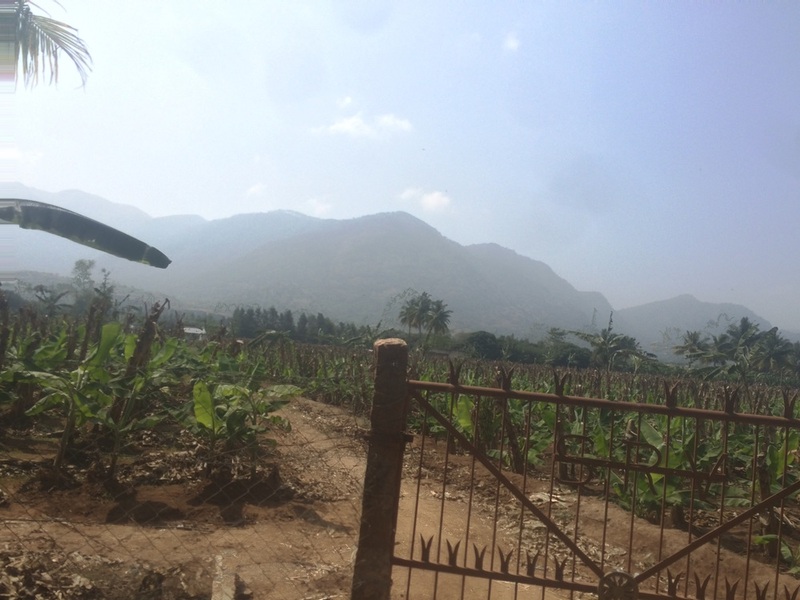 After lots of switchbacks to get down to the valley, we drove through a huge farm with a variety of crops, including: long string beans, tomatoes, mangos, and several varieties of coconut and banana trees. Hannah’s favorite though, was the cotton pods. She just loved them. We then stopped at a grape farm before heading back. Tonight I’m looking forward to my first Ayurvedic massage. 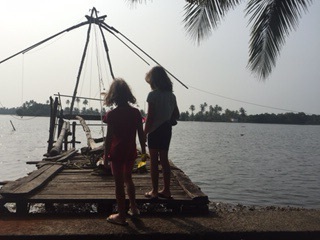 Tomorrow we’re off to Alappuzha (Allepeppy), known for it’s house boating through the backwaters of Kerala. Should be another great week ahead!